From the experience of La Granda a new delicious recipe for surprising dishes rich in flavour. Orange duck is a dish made famous by French cuisine, but the recipe has its roots in the Florentine cuisine of the XV century, and was brought to France by Caterina de' Medici. 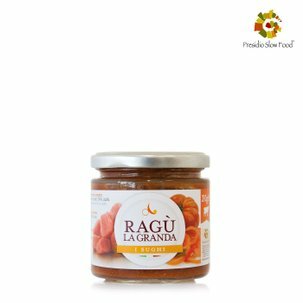 This spreadable version by La Granda is flavourful and versatile, without preservatives or colourants. 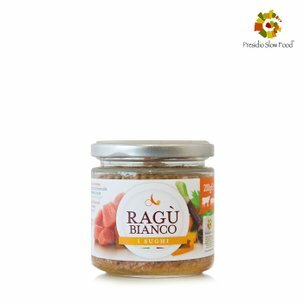 Ideal to be served spread on crispbread or toasted bread for a flavourful and elegant appetiser. 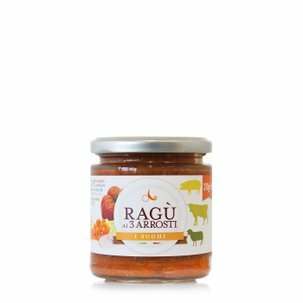 If you are looking for a more intense flavour, enrich the patè with a bit of grated orange peel. Ingredients INGREDIENTS: duck 31%, chicken 30%, creamed rice (water, rice flour), onion, carrot, passito wine, extra virgin olive oil, orange juice and peel 2%, grappa, sugar, salt. Gluten-free. For more information on product labels, please contact our Customer Service department. The information on the labels of the products may vary for reasons beyond our control, therefore, there may be discrepancies between the information on the site and that on the products delivered. Please always check the information on the product before consumption or use.